New to the market is this two-bedroom, two-bathroom unit directly opposite the beach with magnificent ocean views. 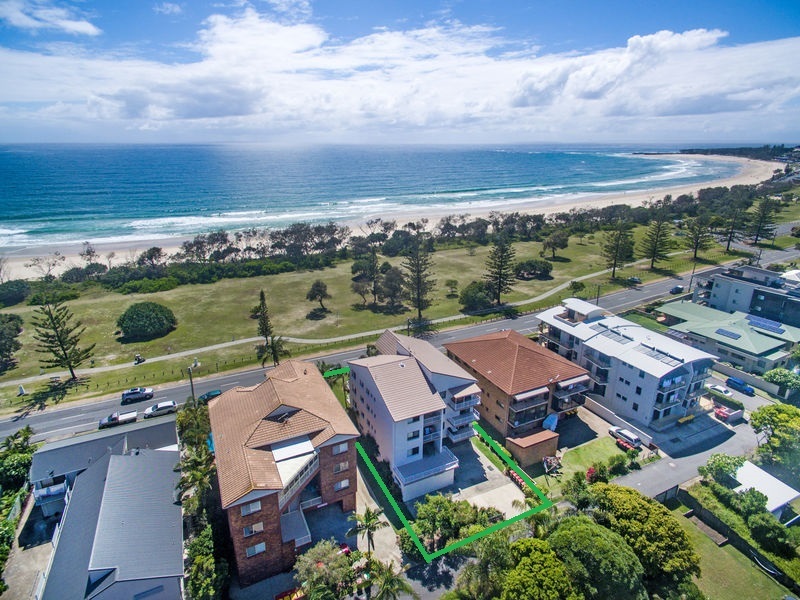 Positioned on the second floor in a small block of six, leave the car behind and walk to cafes, restaurants, and Kingscliff shopping village. The unit is well proportioned with both front and rear covered balconies capturing breezes and uninterrupted views. There are two carpeted bedrooms with built-in robes, ceiling fans and both have sliding doors leading to the rear balcony. The main bedroom also has an ensuite. The open-plan living and dining area is spacious and flows out to the front balcony. The kitchen offers ample bench and cupboard space. Other features include a separate laundry, main bathroom with spa bath and over-sized secure basement parking for one car. This is a great opportunity to secure prime beachfront real estate so close to town and the soon to be completed Kingscliff Central Park. Only 10 minutes to Gold Coast International airport, this unit could be the perfect weekender or permanent living with all amenities at your fingertips. Visit Fresh Estate Agents for Kingscliff Real Estate, Kingscliff units, Kingscliff apartments, Real Estate Kingscliff for all your Kingscliff Real Estate needs.